Israel’s settlement expansions have increased under president Barack Obama despite Washington’s repeated assertions that Israel’s settlements in Palestine are both illegal and a barrier to peace. The Associated Press reports that Israeli government data shows Israeli Prime Minister, Benjamin Netanyahu’s push for the expansion of illegal settlements have surpassed the level of building under George W. Bush. According to the documents, which go up to June 30, 12,288 new settlement buildings started in the West Bank since Obama entered the White House. In the first six months of this year, construction on 1,195 new settlement houses began, a 40 increase on the previous six months, Peace Now reports. If settlement building continues at this rate, the numbers will surpass 13,000 by the time Obama steps down. In east Jerusalem, Peace Now estimated 3,915 houses were built from Obama’s start date to December 2015. In July alone, Israel announced over 1,000 new settlement homes. 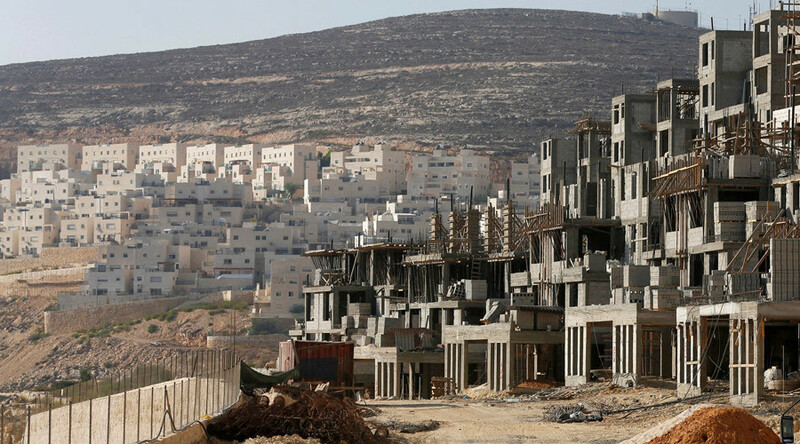 Tel Aviv advanced plans to build 770 settlement homes in Gilo, located between Bethlehem and east Jerusalem in Palestinian territory in late July. Days later, the US state department expressed deep concern for the additional 323 units in East Jerusalem announced by Israel. “In just the past few weeks, we have seen reports of the advancement of plans for 531 units in Ma’ale Adumim, 19 in Har Homa, 120 in Ramot, and 30 in Pisgat Ze’ev; the advancement of a plan to retroactively legalize an outpost near Ramallah; and the issuance of tenders for 42 units in Kiryat Arba,” a state department statement read. The state department along with UN Secretary-General Ban Ki-moon, recently slammed Netanyahu over his controversial statement that those who oppose the building of illegal settlements support the ethnic cleansing of Jews. US-Israeli relations have somewhat soured under Obama’s presidency, with the US failing to offer Netanyahu the same level of coziness offered to Israeli leaders by previous US presidents. Despite, “The worst relationship between a US president and an Israeli PM ever”, Obama this week approved a record deal promising Israel $38 billion in military aid over 10 years. Speaking after the deal was made, Obama said the US "will also continue to press for a two-state solution to the longstanding Israeli-Palestinian conflict, despite the deeply troubling trends on the ground that undermine this goal." Hanan Ashrawi, a senior Palestinian official, said the Obama presidency has been a disappointment for her people. Ashrawi said she was "not surprised at all" by the figures and dismissed U.S. criticism as lip service. "They did nothing to stop it. On the contrary, they looked the other way." Israel continues to expand its reach in Palestinian territories in spite of international condemnation. Human rights organizations along with the UN have called for Israel to stop building settlements on Palestinian lands, citing their illegality and impediment to peace. The U.S., along with the Palestinians and nearly all of the international community, considers settlements to be illegal or illegitimate, viewing them as obstacles to peace. Despite this, it appears that the future of Israel’s illegal settlement building looks to continue under Obama’s successor, whichever it may be. Republican candidate Donald Trump’s Israel advisor David Friedman heads a pro-settlement group, Friends of Beit El, which has raised millions for the West Bank settlement. Settlers in Israel are campaigning for American citizens living in the settlements to vote for Trump. With more than 200,000 American voters in Israel, settlers hope a Trump presidency could change US policy on settlements. Democratic candidate Hillary Clinton is a long-time supporter of Israel. While Clinton touts her support for Israel on the campaign trail, her stance on settlements is aligned with Obama’s. “The continuing settlements which have been denounced by successive American administrations on both sides of the aisle are clearly a terrible signal to send if at the same time you claim you’re looking for a two-state solution.” she said during Operation Protective Edge in 2014.